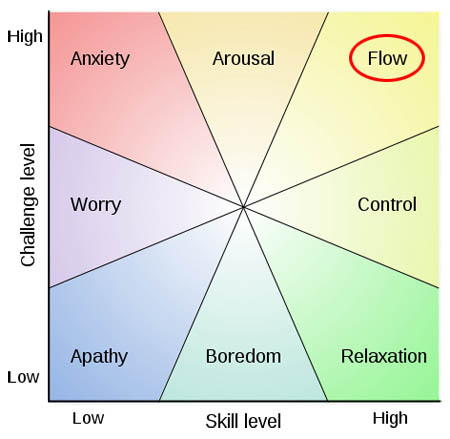 The Hopkinson Report » Episode 113: Achieving a state of “flow” in life and business. « Episode 112: What we can learn from LeBron James’ first day on Twitter. Episode 113: Achieving a state of “flow” in life and business. Today I’m going to talk about a concept that stems from a single word called ‘flow.’ I’m not going to get too deep or spiritual with you, but I think it’s a very important state of mind to recognize and strive for, both in your life and in your work. It’s approaching August here in New York City, which means it’s hot as hades, things are starting to slow down a bit, and in the next few weeks, both the city itself and the offices around town empty out as people end the summer with much-needed vacations before cranking things back up post Labor Day. Quick flashback on my life â€¦ I lived in Seattle for 3 years and just about every Thursday after work when the weather was good, friends and I would head to a trail called Tiger Mountain just outside downtown to go mountain biking. It was the perfect release after 4 rough days of work, with a brutal 40 minute uphill climb the second you left the parking lot, followed by a 45 minute descent through rocks, roots, and flowing singletrack trails. On the weekends we’d venture further from the city and find other amazing trails. It was some of the best times of my life. Needless to say, life changes pretty quickly in the concrete jungle of Manhattan. Gone were the days of throwing the bike on the roof rack of the car on a whim and being on a trail in under an hour.Â Now my mountain bike adventures are few and far between. It wasn’t until last holiday season that I rented a mountain bike for a day while in Santa Monica, CA and hit a half decent trail that I truly remembered how much I loved biking. I immediately pledged to do a more formal trip this summer, and that’s what is in the works now, piggybacking a visit back to Seattle to bike again and then on to Durango, CO for hopefully some of the best biking in the U.S. The day after the details came together, I was listening to the Adam Carolla Podcast and Adam was talking about a dream he had. He told how he flashed back to when he was younger and playing baseball as a centerfielder. He meticulously described a scene where a ball is hit and immediately at the crack of the bat, you’re turning and sprinting toward the wall because you know it’s over your head. You’re completely in the zone, looking back over your shoulder to spot the ball, adjusting on the fly, tracking it down, and everything immediately comes together and you make the catch. During this time, there’s no way you’re thinking about your mortgage, or the fight you had with your wife, or the rude person at the airport. Your body takes over on instinct and you’re in the zone. Like being in the zone, it’s a state that your mind blocks out all the foreign disruptors, from problems at home to the fans screaming at the top of their lungs. But she also mentioned that it’s more than that — there needs to be several factors present. By complete coincidence, while on his wiki page, turns out CsÃ­kszentmihÃ¡lyi did an interview with Wired back in 1996, talking about flow in terms of website design. I immediately understood that this was why I loved mountain biking (and for that matter skiing and driving the perfect car on the perfectÂ twisty road) so much. It’s a very different activity versus lying on the beach or watching a movie or doing a very difficult crossword puzzle. The reason is because it’s not necessarily an easy activity. You get a feeling of accomplishment because you are exerting effort and skill to achieve something. Yet, once you get decent at it, it’s not an activity that is so difficult that it causes you to have anxiety. Sports – From the greatest players in basketball to the best golfers in the world, many describe being in the zone when the basket or the cup seems so large that you just can’t miss. Baseball players see the baseball coming at them as a floating beachball and not a 98mph fastball. Marathoners talk of a ‘runners’s high’ when the pavement melts away and you feel like you can run for miles. 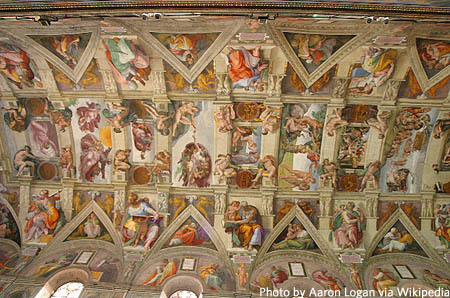 Arts – Wikipedia says that Historical sources hint that Michelangelo may have painted the ceiling of the Vatican’s Sistine Chapel while in a flow state. It is reported that he painted for days at a time, and he was so absorbed in his work that he did not stop for food or sleep until he reached the point of passing out. He would wake up refreshed and, upon starting to paint again, re-entered a state of complete absorption. Music – Every band will tell you that the goal is to get everyone ‘in the pocket,’ when every member is acting as one, anticipating each other’s direction, nailing every note and transition, syncing up bass and drums, and moving from one song to the next. Also from Wikipedia, lyricists (particularly hip-hop Emcees) who freestyle experience flow when formulating rhymes off the top of his or her head. This is commonly known in hip-hop culture as “flowing”. Alas, my writing flow has been broken a bit and I need to steer this some sort of marketing angle. But that’s ok, I’m on a roll. Magazine, website, iPad, podcasts, video, newsletters, emails, mobile, Facebook, Twitter, and live events. How can you hope to sync them all? That is your goal. It’s important to remember that all of the things I’ve listed perform different functions. The voice you bring on Facebook is different than that on your newsletters and on Twitter. It is a mistake to try and bring absolute uniformity. That would be like trying to keep your elbows and knees at a 45 degree angle at all times while biking. No, what you need to do is look at the ultimate goal. 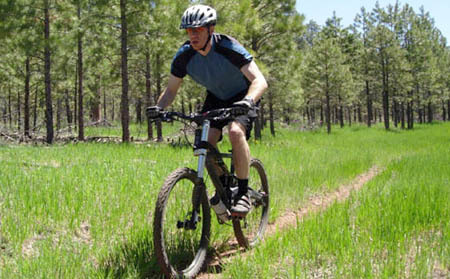 In biking, it’s getting down the mountain in one piece while having the maximum amount of fun. In marketing, it’s representing your product according to the goals you want to achieve. That means your logo and color scheme should be similar across all platforms. That means the voice of all your writers and editors should be aligned. And that means whether a customer experiences your product on the web or on twitter, they feel at home with the brand. Lastly, I’ll leave you with the hope that you can find your flow in life. That comes when the elements of your career, relationships, health, wealth, work, play, and the environment in which you live all come together. 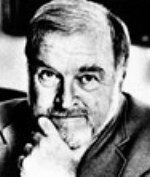 I hope you enjoy the 10-30 minutes when I get into my podcast flow each week, and if you do, please tell your friends to visit TheHopkinsonReport.com. This entry was posted on Thursday, July 15th, 2010 at 2:00 am and is filed under Pop Culture / Entertainment, Social Networking / New Media. You can follow any responses to this entry through the RSS 2.0 feed. Both comments and pings are currently closed.